View more presentations from Arief Gunawan. I think some companies may now be willing to go to any lengths to market their products. I did report some initial Femtocell Jargon but I stopped keeping track untill recently where I bumped into three of them in the same day. Ubiquisys, the leading developer of 3G femtocells, announced commercial availability of its wide area femtocell solution, providing a coverage area of up to 12km2 (5 sq. miles) at a fraction of the cost of existing solutions. The new femtocell is ideal for rural areas with poor coverage, such as isolated villages, hamlets or farms. The company recently shared the results of a live demonstration of the solution in the field, at the Femtocell Americas event in San Diego. The Wide Area Femtocells have a capacity of up to 16 calls and can either be mounted outdoors, or placed indoors with an external antenna, typically attached to the roof of the building. They can be deployed very quickly, because they continuously adapt their radio configuration according to the operator’s policies, working in harmony with the regular mobile network and eliminating the need for a radio planning project. The solution can be combined with Ubiquisys Grid System technology to cover still larger areas with multiple femtocells, which form a self-organising mesh of coverage and capacity. Ubiquisys has performed a field demonstration of its wide area femtocells in a rural area near Swindon in the UK. The demonstration showed that for less energy than it takes to power a light bulb, a village area with a 1.5km radius was provided with comprehensive coverage. The wide area femtocell solution is commercially available today and is being actively deployed. A Class 3 femtocell reference design, the PC8219E from picoChip claims a world first that brings femtocell technology to campuses, rural areas or 'metrozone' hot-spots. The turnkey solution builds on the company's field-proven robust PC8208 and 8209 PHYs to provide a complete extended-reach HSPA femtocell baseband. The device has already been delivered to customers and deployed by carriers. The PC8219E's eight user capacity, 2 km range and support for vehicular mobility make it well-suited for low-cost, wide-area open access femtocell deployments in areas where carriers need to cost-effectively enhance coverage and capacity. Although femtocells are often thought of for residential applications, there is a growing recognition that the advantages they deliver, in terms of capital and operating expenditure, can be more broadly applicable. The PC8219E is a programmable, flexible, easily integrated product that caters for multiple users, has self configuration features and backhauls via the internet. Featuring industry-standard FAPI and FRMI interfaces, as defined by the Femto Forum, the reference design also has fully-compliant security functions. The design includes a network monitoring function that allows the femtocell to reconfigure itself to behave like a handset receive chain, synchronizing with a macro-base station nearby, improving network planning and providing the basis for Self Organizing Network (SON) functions. This new variety of mobile cells has been termed 'greater femtocells' or 'superfemtos'. Such products are similar to the 3GPP 'Local Area Basestation' or traditional picocells, but add the femtocell's capabilities to use standard backhaul and to self-configure for interference management. The Femto Forum has recently standardized femtocells into Class 1 (typically residential), Class 2 (primarily indoor for enterprise) and Class 3 (for rural, metro and wider area deployment). We have talked about WiTricity and Nokia's self-recharging phones but they seem to be a bit far away. PowerPad, made by the British gadget firm, Gear4, goes on sale next month and is among a new wave of devices sweeping us towards this unplugged utopia. A protective sleeve slips over an iPhone, slotting into its connecter socket. 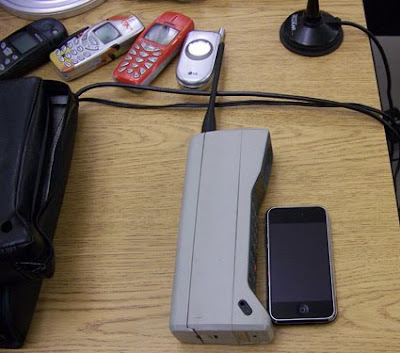 When the encased phone is placed on a mains-connected pad on, say, a desk or bedside table, electricity makes the jump. 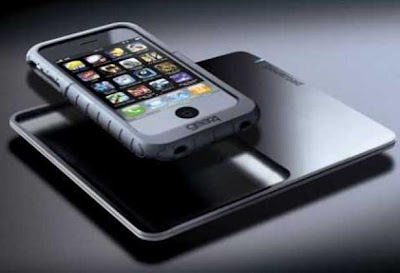 American outfits PowerMat and WildCharge make similar devices. Meanwhile, the Palm Pre smartphone has its own "Touchstone" charger and Dell's Latitude Z is the first wireless laptop. "Wireless electricity is something we used to talk about years ago almost as a bit of a joke when we made predictions about the future," says Michael Brook, editor of the gadget magazine, T3. "To a lot of people it sounds insane that you could even do it – like some kind of witchcraft – but we're seeing a lot of interest in the first wireless chargers. It's going to take off in a big way." If not witchcraft, how does it work? Here's the science: Current from the mains is wired into a transmitter coil in the charging mat. This generates an electromagnetic field. 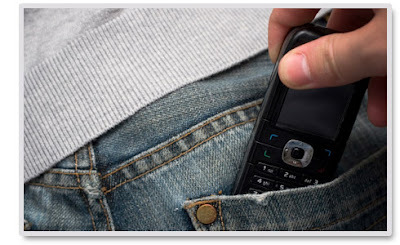 A receiver coil in the phone's case takes the power from the magnetic field and converts it back into electricity that charges the device. By separating those coils, induction charging takes the 150-year-old principle used in the transformers found in most electric devices and splits it in half. No more tripping over laptop leads and their power bricks or diving under your desk to plug in your charger – just put your gadget on the mat and induction takes care of the rest. But wireless induction, which, in a less-sophisticated form has charged electric toothbrush chargers and some medical implants for years, isn't perfect. Advances mean it's now viable for more demanding devices, but in the case of the PowerPad, it requires a case that adds bulk to what is already a hefty handset. Another drawback is the lack of compatibility – a phone with a PowerPad case will not charge on a PowerMat. A growing group of electronics firms want to sdeal with the problem. The Wireless Power Consortium (WPC) includes Gear4 and the mobile phone giants, Nokia, Samsung and RIM, makers of the Blackberry. "These companies think there won't be a mass market for wireless charging unless there is a standard," says Menno Treffers, chairman of the consortium's steering group and a director at Philips. Learning their lesson from the hopeless incompatibility of wired chargers, supporters of WPC's Qi ("chi") standard will put universal coils in devices that will work without cumbersome cases. They'll also be compatible with any charging mat, whether it's on your desk or recessed in a table at Starbucks. Treffers expects the first Qi-compatible devices to hit shelves next year. But there remains a major flaw in charging mats – their need for proximity. Separation of even a millimetre renders most mats useless. Take your laptop to your bedroom to watch a DVD and you'll need a second mat or a cable. For a truly wireless scenario, electricity must make a giant leap. Marin Soljacic is a Croatia-born physics professor at Massachusetts Institute of Technology (MIT). In 2002, he got annoyed when his wife's mobile phone woke him up with beeping when its battery ran low. "Not only did I have to wake up to plug it in but had to find the charger in the dark," he says. "I thought, power is everywhere – sockets all over the house – yet it isn't close enough." Soljacic was sure there must be a way to bridge the gap. He wanted his wife's phone to charge while it was still in her handbag. Two years ago, after months of equation crunching and computer modelling, Soljacic literally had a light bulb moment when he flicked the switch of a 60-watt lamp. No big deal except that the electricity powering the light was travelling two metres through thin air. Soljacic and his team at MIT have since formed a company called WiTricity. Last July, its chief executive, Eric Giler, came to Oxford to demonstrate a wireless television. In front of an amazed audience at a technology conference, he powered up a giant plasma screen TV that had no cables. Electricity sprung from a sleek unit on the floor to a receiver mounted on the back of the screen. Last month, Giler travelled to Japan to show off a wirelessly-charged electric car. "Every time I show people they're blown away," Giler says. "When you see it up close it does appear almost magical." Soljacic's magic takes the split-transformer model that powers charging mats and adds a key ingredient to make electricity fly. It's called resonance, the phenomenon that means a singer who matches the acoustic frequency of a wine glass can shatter it. Soljacic knew that two resonant objects of the same resonant frequency tend to exchange energy efficiently – imagine a tuning fork causing a nearby fork with the same frequency to chime sympathetically. His breakthrough was to work out a way to use resonance in magnetic form to transfer not sound but electricity. He explains: "By coupling the magnetic field that surrounds a resonant coil to another coil resonating at the same frequency, we can make the electricity hop from one to the other." WiTricity's strongly coupled magnetic resonance means cars, TVs, free-standing lamps, and computers – anything that requires electricity – can be powered or charged from a central source in the ceiling or under the floor. And it's all totally safe. "The fields that we are generating in are about the same as the earth's magnetic field," Giler says. "We live in a magnetic field." Giler and his team are in talks with big-name electronics manufacturers, including many of those who are putting their names to the Qi standard for charging mats. Giler says proximity charging is "first-generation stuff; by the end of next year you'll start seeing devices with WiTricity components built in". If he is right, homes and offices could soon be fully wireless. "It's a fundamental breakthrough in science and a game changer for the industry," he says. "Cut the cords and the world's going to change." So what does it take to build a WiMAX Femtocell solution? • Spectrum: WFAP operates over licensed spectrum using standard WiMAX wireless air interface and protocol. • Form factor: WFAP can be standalone (similar to WiFi access points) or integrated with DSL or cable modems. • Transport: WFAP uses transport network of subscribers’ DSL, FTTH or cable-based broadband connection. • User Capacity: Since WFAP is deployed inside a building; a WFAP needs to support at least 5-6 subscribers. • Power Output: With a range of roughly 10 meters, power output should be kept very low, no more than a 2.4 GHz WiFi product. • Deployment Support: Operating in a licensed spectrum a WFAP may face interference from neighboring base stations (femto or macro). Therefore, a WFAP should have the capabilities to automatically adjust to minimize the interference. • Local Breakout: A WFAP should optionally support the capability to route incoming or outgoing traffic directly to the destination through the Internet Service Provider (ISP) network. This approach will bypass the WiMAX service provider network, thus offloading WiMAX service provider network and reducing the cost of service to the subscriber. • Performance: A Femtocell solution should fit as per the WiMAX network architecture defined by the WiMAX forum. The deployment should not limit the number of WFAPs that are able to connect with a designated ASN Gateway unless operator specified. A network deployment should allow different ISPs to connect WFAP with ASN Gateway in the core network. • Hand-over: A Femtocell solution should allow handovers between WFAP and WiMAX macro cells or with other adjacent WFAPs. • Security: A Femtocell solution should use a secure channel of communication (for both control plane and data plane) with ASN Gateways in the core network. The core network must authenticate and authorize a WFAP before it starts offering services to MS/SS in its coverage area. A WFAP may authenticate the ASN Gateway with which it gets connected. A WFAP should keep its air interface disabled unless it is authenticated and authorized to start communication with the ASN Gateway in the core network. A Femtocell may support close subscriber group (CSG) database i.e. a list of subscribers allowed to access the WFAP, and its management. • Accounting: For providing different rate plans to subscribers accessing services through WFAP, a WFAP needs to make sure that it is recognized by the core network. • Location Information: A WFAP should support location identification procedures with the core network. Location information can then be used for emergency services or location based services. • Air Interface: A WFAP should provide at least 10 meters of coverage area in a residential set up without any exclusion zone around it. • Network Synchronization: A WFAP should support mechanism to synchronize with external network to provide services that require strict air interface co-ordination. Some of the services are soft-handovers, support for idle mode paging, and multicast-broadcast (MCBCS) services. • Quality of Service: A WFAP should support marking of incoming/outgoing packets with appropriate DSCP code, as configured by a service provider. This would allow support for defined service level agreements (SLAs) when the service is delivered through a WFAP. • Manageability: A WFAP should implement DSL forum’s defined TR069 protocol to allow an operator to remotely manage a WAFP. It must allow an operator to remotely disable/enable the air interface service. The WiMAX network architecture for femtocell systems is based on the WiMAX basic network reference model that differentiates the functional and business domains of NAPs from those of the network service providers (NSPs). The NAP is a business entity that provides and manages WiMAX radio access infrastructure, while the NSP is the business entity that manages user subscriptions, and provides IP connectivity and WiMAX services to subscribers according to negotiated service level agreements (SLAs) with one or more NAPs. A NAP is deployed as one or more access service networks (ASNs), which are composed of ASN gateways and BSs, while the NSP includes a home agent, authentication, authorization, and accounting (AAA), and other relevant servers and databases. In a WiMAX network supporting a femtocell, a new business entity called the femto-NSP is introduced, which is responsible for the operation, authentication, and management of WFAPs. The femto-NSP is logically separated from the conventional WiMAX NSPs responsible for MSs’ subscriptions, and it includes femto-AAA and femtocell management/self-organizing network (SON) subsystems. The femtocell management system is an entity to support operation and maintenance (O&M) features of the WFAP based on TR-069 or DOCSIS standards. Because potentially many femto BSs will be deployed in overlay coverage of macrocell BSs and have to support handover to/from macrocell BSs or neighbor femto BSs, the operating parameters of femto BSs have to be well organized and optimized. Femto BS parameter configuration and network performance, coverage, and capacity optimization can be done in an autonomous fashion by using SON functions. A SON server provides SON functions to measure/analyze performance data, and to fine-tune network attributes in order to achieve optimal performance. 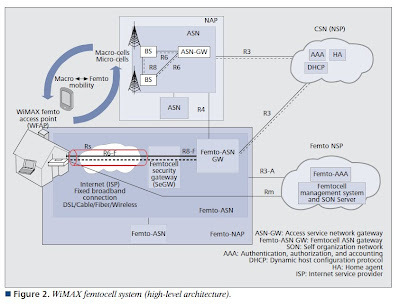 A femto-NAP implements its infrastructure using one or more femto-ASNs; an ASN is defined as a complete set of network functions needed to provide radio access to a WiMAX femtocell subscriber. The reference model for a the femto-ASN is defined based on some changes to the conventional ASN to address specific needs of WFAPs, which typically reside at customer premises, and are operated and managed remotely by a femtocell operator over third party IP broadband connection. The femto-ASN reference model includes a WFAP connected to a femto-GW serving as the ASN-GW, through a new entity called a security gateway (SeGW). The SeGW provides IP Security (IPsec) tunnels for WFAPs, and is responsible for authentication and authorization of the WFAPs. The WFAP is connected to a femto-ASN gateway (femto-ASN GW) and other functional entities in the network through this IPsec tunnel. The management system is connected to WFAP through Rm for remote configuration, and it will also include the SON server function, to be defined in the next releases of the femto architecture. The femto-ASN GW is an entity that controls WFAPs, and performs bearer plane routing to the CSN and Internet as well as control plane functions similar to ASN-GW providing the link to the connectivity service network (CSN) and other ASNs with mobility and security support in the control plane and IP forwarding. In addition to common functionalities of the ASN-GW, the femto-ASN GW supports femto-specific functionalities such as closed subscriber group (CSG) subscriber admission control, femtocell handover control, WFAP low-duty mode management, and femtocell interference management. 3G Americas has published an educational white paper titled, "3GPP LTE for TDD Spectrum in the Americas". The report provides a top-level overview on the considerations for deployment of Long Term Evolution (LTE) in Time Division Duplex (TDD) technology spectrum in the Americas and recommends LTE TDD as a mobile broadband solution to utilize valuable TDD spectrum assets in the region. The white paper explains the technical mechanism in which LTE TDD (also known as TD-LTE) and Time Division Synchronous Code Division Multiple Access (TD-SCDMA), a 3rd Generation Partnership Project (3GPP) third generation technology deployed in China, are smartly designed with the ability to operate together with great harmonization and efficiency. 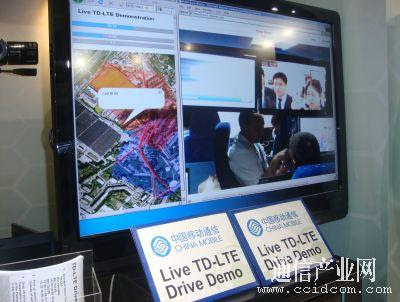 LTE TDD is a natural migration for TD-SCDMA operators. The technical synergy between LTE TDD and TD-SCDMA operators will thus increase the economies of scale for LTE TDD operators throughout the world. Although operators are making plans for the deployment of LTE Frequency Division Duplex (FDD) technology, the white paper emphasizes that operators, regulators, license holders and investors must strongly consider the significant opportunities behind deployment of LTE in fragmented TDD spectrum as a mobile broadband solution that can serve the communication needs and demands of the marketplace. Additionally, the report highlights that asmobile broadband is becoming ubiquitous throughout the Americas and the Internet generation is growing more accustomed to having broadband access everywhere, technology usage is exploding and, thus, is putting a tremendous strain on already well-utilized networks and spectrum. 3GPP LTE for TDD Spectrum in the Americas focuses on the LTE ecosystem and how operators are working to meet this increasing demand for mobile broadband services. The LTE ecosystem supports both FDD and TDD operation, offering operators flexibility to match their existing networks, spectrum and business objectives for mobile broadband and multimedia services. Fifteen paired (for FDD operation) and eight unpaired (for TDD operation) spectrum bands have already been identified by the 3GPP for LTE. This means an operator can introduce LTE in new spectrum bands. The white paper, 3GPP LTE for TDD Spectrum in the Americas, was written collaboratively by members of 3G Americas and is available for free download on the 3G Americas website at www.3gamericas.org. 50% of mobile data in Japan is consumed in the home, the peak time for mobile data consumption is between 9 PM and 10 PM; and smartphone users consume 10 times more data than non-smartphone users. Japan's Softbank will turn off their 2G network already in March of next year, 2010. Allen Lew, Singtel's CEO, said that in Singapore almost 50% of smartphone owners are shifting web surfing activity away from PCs. Jon Fredrik Baksaas, Telenor's President and CEO, spoke about the eco-friendly initiatives they have, such as solar powered cellular network base stations etc, but an interesting tidbit that came out, is that in Europe, Telenor has installed 870,000 household electricity meters that are remote digital meters and operate on the GSM cellular network, in Sweden. As Sweden's population is only about 7 million people that is probably a third of all households. Rajat Mukarji of Idea (one of India's largest mobile operators), told us of the Indian market, where the average price of a voice minute is 1 cent (US). He Mr Mukarji also said that in India mobile is the first screen, not the fourth screen; and mobile is the first internet connectivity opportunity for most people of India. Tony Warren, GM of Regulatory Affairs at Telstra, told that 60% of phones in Australia are 3G already, and over half of mobile data is now non-SMS type of more advanced mobile data. And he said that MMS is experiencing enormous growth, grew 300% in the past year. You can read the summary of first day here. It takes a very narrow view that "maturity" equals "fully specified". It still maintains that "The voice solution for LTE is IMS VoIP and it is fully specified" and that any other solution is merely a "transition". In other words, it makes LTE sound unsuitable for those operators which are IP-centric but which do not believe in IMS as a suitable control/service solution. 3GPP is trying to use LTE as a lever to force unwilling operators to adopt IMS. This will fail. SMS-over-SGs has some serious shortcoming as well as costs, but is probably OK as a short term solution. I think a lot of operators will wait until "Windows 7" becomes available, either LTE Advanced or perhaps Rel 10 LTE. Very interesting. He has put forward a great analogy of Windows OS that reflects concerns of many of us. You can follow the complete discussions here. According to Rob Conway, CEO of the GSM Association, the number of subscribers will grow to 8 Billion (not sure when though). China Unicom, China's second largest mobile operator with 142 million subscribers - bigger than AT&T and Sprint put together. According to Manoj Kohli, the CEO of Bharti Telecom, India already 20% of all mobile phone owners have 2 or more subscriptions. He also told us that as India will add 500 million new subscribers by the time frame of 2014-2015. India is currently adding 10 million new mobile subscribers every month. And most revealingly, he said that in India the customers will go from 'no internet' directly to 'mobile internet'. According to Wang Jianzhou the Chairman and CEO of China Mobile, the world's biggest mobile operator with over 500 million subscribers, on the Chinese 3G standard of TD-SCDMA, they already have 3G phones being sold that cost about 1,000 Yuan, or about 130 US dollars. The average China Mobile customer spends 1 minute per day on voice calls, but sends on average 3.6 SMS text messages per day. According to Yamada-san, the President and CEO of Japan's NTT DoCoMo, on NTT DoCoMo's network, today already 42% of their total revenues come from non-voice data services. NTT DoCoMo is so far in its migration of its customer base from 2G to 3G, they will terminate 2G in March of 2011. Yamada-san also told of their new 3G video TV service, they call BeeTV. BeeTV is special in that it is optimized for the small screen, not re-purposed video content from TV and the internet. BeeTV in only six months has achieved 800,000 paying subscribers - who pay 315 Yen per month (about 3 USD). Yamada-San's 20 minute presentation also mentioned that NTT DoCoMo's i-Consierge service (yes, think of it as your personal butler, the phone learns your habits and starts to help you with your life, this is like magic) has 2.3 million paying subscribers one year from launch. Their i-Channel idle screen invention is spreading and they have launched it also with their partner in India, Tata, who offer Cricket game updates via the idle screen using i-Channel. Japan's mobile advertising market in 2008 was worth 900 million dollars. Grameenphone and Huawei won the 'Green Mobile' award for their 'green' network initiatives. Motorola is being very strategic about the contracts it goes after, said Bruce Brda, senior vice president and general manager of the vendor's wireless networks business, in an interview with FierceBroadbandWireless. "We are not trying to go head to head in every part of the globe. We've been selective in our engagements, focusing on the customers that we think we have a higher advantage with," Brda said. "Our initial thrust is in places in Asia where we have a significant competitive advantage." That's why it won an LTE contract with Japan's KDDI, he said, despite the fact 10 vendors in all competed for that business. Motorola's other sweet spot is the TDD (unpaired spectrum) version of LTE, otherwise known as TD-LTE, a technology China Mobile is keen on deploying. 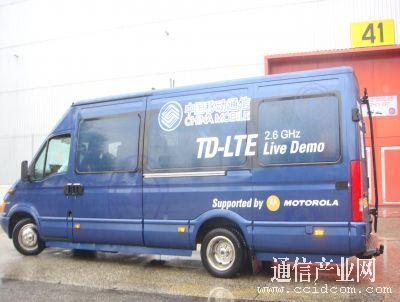 Brda believes that Motorola's OFDM experience with WiMAX coupled with its TDD experience, again with WiMAX, will give Motorola an advantage in China. TD-LTE, in fact, won't be a niche market, Brda said. "With the demand for data that exists around the world, it will be a solution set that solves the equation, not just FDD, but a series of solutions, and TD-LTE will play in increasingly large role, maybe coexisting in the same network as FDD LTE." 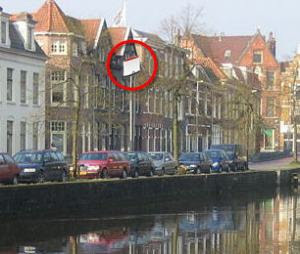 Brda noted that Motorola is talking to a number of European operators that envision TD-LTE and FDD LTE coexisting. "You could have one set of services carried over the TDD network and another set going over FDD," he said. "It's would create a more efficient use of the network, but I also think more and more TDD spectrum is going to be available. It's been kind of ignored around most of the world, but it's much easier to find un unpaired block of spectrum than a paired block." Another aspect that has been largely ignored is the fact that experience in mobile WiMAX is highly transferable to the LTE world. Motorola, which has constructed about 20 WiMAX networks, and Samsung are now the two major vendors that have stuck with the mobile WiMAX game to a high degree. Many vendors such as Alcatel-Lucent, Ericsson and Nokia Siemens Networks either shunned mobile WiMAX or significantly scaled back on their efforts in favor of LTE. We have talked of WiMAX femtocells before and since I have mostly been focussing on 3GPP standardised Femtocell, I thought it is wise to focus on WiMAX femtocell and learn more about its terminology and implementation. Whenever possible, I will draw comparisons with the 3GPP femtos and try to provide more insight if I can. Surprisingly I found it difficult to find the information on WiMAX femtocells. I am sure its not because no one is interested in the technology but its more because of the standards not being available in public domain. An old article on Think Femtocell informs us of the initial players of WiMAX femtocells. I havent tried digging in who is doing what in the WiMAX femtocell world, so if you are aware of potential players, feel free to highlight them via comments. In WiMAX terminology, femtocells are known as femto base stations (BSs) or WiMAX femto access points (WFAPs). They are intended to serve the same purpose as the 3GPP femtocell that I have mentioned time and again. WiMAX as a technology is intended for data and voice can be an OTT application. In a way its a disadvantage for this technology but can be considered as an advantage as it doesnt have the baggage of old Circuit Switched system. Another thing that I should clarify here is that WiMAX is intended to operate in licensed spectrum and so are the WFAPs. All femtocells start playing important role when high data rates are required and when the operating frequencies are high. Higher frequencies means lower penetration inside homes and the signal inside the offices can be easily enhanced with femtocells (or for that matter picocells in big buildings). 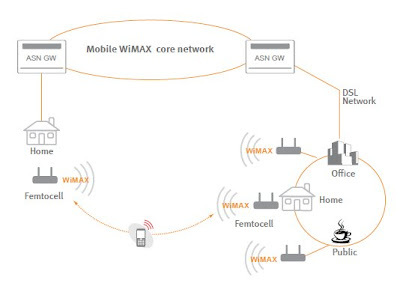 The WiMAX Forum has commenced the development of femtocell standards in two phases. The first phase is based on IEEE 802.16-2009 (aka 802.16Rev2) and system profile Release 1.0 or Release 1.5, so no change in the air interface standard or legacy MS is required to enable basic femtocell deployments. Some optional software upgradable enhancements in the MS may be used to enable additional femtocell functionalities only for such femto-aware MSs. The network framework to support femtocells in phase 1 is being developed in the WiMAX Forum as part of Network Working Group (NWG) release 1.6. The complete end-to-end femtocell specifications are expected to be finalized by the end of 2009. The second phase of WiMAX femtocell development, which brings additional functionalities and more optimal performance, will be introduced in system profile and network Release 2 based on the 802.16m air interface. The evolution to phase 2, which is expected to be completed by 2011–2012, enables enhanced femtocell systems with 802.16m MSs’ advanced functionalities while continuing the support of phase 1 legacy MSs with basic functionalities. Femtocells are expected to play an important role in terms of cost-effective delivery of new services, such as multimedia, gaming, social networking, and other demanding applications with the high quality of service (QoS) level expected by users in an indoor environment. However, femtocells are in an early stage of development and have some technical challenges to overcome. More than 300,000 people in Bangladesh, one of Asia’s poorest but fastest-growing economies, have rushed to sign up to learn English over their mobile phones, threatening to swamp the service even before its official launch on Friday. The project, which costs users less than the price of a cup of tea for each three-minute lesson, is being run by the BBC World Service Trust, the international charity arm of the broadcaster. Part of a UK government initiative to help develop English skills in Bangladesh, it marks the first time that mobile phones have been used as an educational tool on this scale. Since mobile-phone services began in Bangladesh just over a decade ago, more than 50.4m Bangladeshis have acquired phone connections, including many in remote rural areas. This far outnumbers the 4m who have internet access. English is increasingly seen as a key to economic mobility. An estimated 6.2m Bangladeshis work overseas and hundreds of thousands of others want to follow in their steps. However, English is also important for securing jobs at home, where about 71 per cent of employers look for workers with “communicative English”. 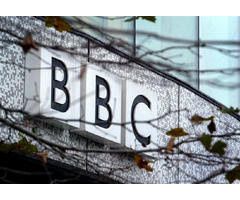 Through its Janala service, the BBC offers 250 audio and SMS lessons at different levels. Each lesson is a three-minute phone call, costing about 3 taka (2.6p). One basic lesson involves listening to and repeating simple dialogue like: “What do you do?” “I work in IT, what about you?” “I’m a student.” “That’s nice.” Another is devoted to differentiating vowel sounds like those in ship and sheep or leaf and live. All six mobile phone operators in Bangladesh have agreed to cut the cost of calls to the service by 50 per cent to make it more affordable. Ms Chamberlain said the project team was in talks with the mobile phone companies to increase capacity to cope with the unexpectedly high demand. The launch of the service comes just weeks after Grameenphone, the country’s largest mobile phone operator, held Bangladesh’s largest IPO, raising $71m from retail investors in the largest offering ever held in the country. The language lessons are mainly targeting 18 to 24-year-olds, who typically had five or more years of formal education, but whose training in English had been weak. The target market is people living on less than 10,000 taka ($145, €97, £87) a month, who would struggle to pay for formal English lessons. The relatively low cost of mobile handsets and connection charges has led to an explosion in their use and an estimated 50 million people now have access to phones. Now users will be able to listen via their phones to weekly bilingual ­English language lessons and receive lessons by text as part of a low-cost service. Lessons are available at four levels, ranging from basic conver­sation skills, to support with sounds that Bangladeshis find difficult to pronounce, and the higher-level vocabulary of English language news media. New lessons will be available each week with older lessons accessible from an archive. Learners can also ­assess their skills by doing audio quizzes and tests delivered by text message. The trust says that it has negotiated reductions on standard mobile tariffs of up to 75% to make the service affordable to users with limited incomes. Allan Freedman, country director for BBC World Service Trust Bangladesh, said: “Young people across Bangladesh have told us they consider learning English as a path to better jobs and opportunities. Our project is about meeting that demand and helping millions of people access English learning tools for the first time. The Janala lessons will also be available via the internet on a ­website designed to develop both English-­language and web-user skills, in a country where computer use has been severely restricted by high costs and lack of electricity in rural areas. Janala will also be promoted via a weekly television programme, BBC Buzz, produced by the World Service Trust, which started broadcasting last month. The show features stories aimed at younger viewers and covers topics such as careers, politics, fashion and music. It includes the English language learning exploits of a cartoon character called Rinku. Viewers can receive follow-up lessons via mobile phone that build on language points raised by Rinku and have a say on future ­episodes. I have blogged about MBMS in past about how it didn't take off even though it was a promising technology. Now you may probably be aware that eMBMS is part of Release-9. I heard some interest in this feature. The expectation is that the demand for data drops off later in the night after around 10pm. The operators may start some channels say after 11pm because the network will have lots of spare capacity that could be used for television channels. You could have late night movies, sports channels and adult channels. An advantage of going eMBMS way would mean that even if you are roaming, you can have pay per view kind of approach as long as the other network is Release-9 compliant. Interesting idea, not sure if it will take off. Request: This is sent by the initiating side and from a higher layer to a lower layer. For example when RRC wants to send a message to peer RRC entity, it sends an RLC Data Request to RLC. Indication: This primitive on the receiving entity is passed from Layer N to the layer above (N+1). For example when RLC entity receives MAC data from MAC and its addressed to RRC, it sends RLC Data Ind to the RRC. Response: This is the response to the Indication on the receiving entity. So in our example case, RLC Data Resp would be sent by RRC when it receives RLC Data Ind. Confirm: This is used as a reply in the sending entity as the lower layer conveys the result of one or more previous request primitives. The confirm will generally contain status code indicating success or failure of the procedure. In our example, RLC Data Cnf will be sent by RLC as a response to RLC Data Req. AT&T*, Orange, Telefonica, TeliaSonera, Verizon, Vodafone, Alcatel-Lucent, Ericsson, Nokia Siemens Networks, Nokia, Samsung Electronics Co. Ltd., and Sony Ericsson have defined the preferred way to ensure the smooth introduction and delivery of voice and SMS services on Long Term Evolution (LTE) networks worldwide. To view the technical profile, please visit http://news.vzw.com/OneVoiceProfile.pdf. One of the trickiest issues for early LTE deployers is uncertainty over how voice and SMS services - still the key cash cows for most operators - can be supported. Eventually, all these services will be carried over IP, using the IMS (IP Multimedia Subsystem) standard, but only a few carriers, like Verizon Wireless, are looking to deploy all-IP from day one. However, there is pressure to accelerate the process and reduce the cost and risk of LTE/IMS for carriers, and this is the objective of the new One Voice initiative. Some operators believe they will initially deploy LTE as a data-only network, but most want to support voice and, even more importantly, SMS (which underpins many cellco processes and customer communications). Faced with the risk that large players might delay their plans until they have a strong route to voice, One Voice has defined a profile based on existing 3GPP standards for IMS-enabled voice. The work has initially emerged from Nokia Siemens, which was previously trying to get wide industry support for its own interim voice over LTE solution, VoLTE (which only worked with its own softswitches). The company's convergent core marketing manager, Sandro Tavares, said One Voice should ease fears over how voice will be deployed by resolving roaming and interworking issues at an early stage. It is not creating a new standard, but aims to ensure compatibility between networks and devices by creating a common profile, which defines an optimal set of existing 3GPP functionalities for use by vendors and operators. "There is no new standard," added Tavares. "It's just using what is there already." NSN is already producing LTE equipment that complies with the new profile, and so has a headstart in offering an important feature to early triallists - which could boost its so-far low profile in LTE tests, dominated by Ericsson and Huawei. However, the vendor will now hand its work to the 3GPP and GSM Association so that other companies can work on and adopt the profile. So far, it has signed support from most of the key operators that tend to wield influence over cellular standards, apart from DoCoMo and China Mobile - AT&T, Orange, Telefonica, TeliaSonera, Verizon Wireless and Vodafone are there, plus a strong line-up of vendors. These are Alcatel-Lucent and Ericsson on the infrastructure side and Nokia, Samsung and Sony Ericsson for devices. The group needs to get the Chinese vendors on board to complete the set, as well as Motorola. 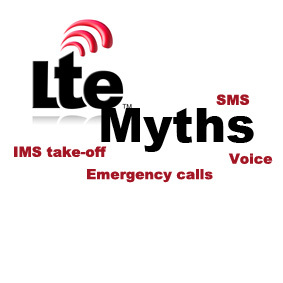 The supporters of the initiative say this is their "preferred path" for voice over LTE, though for carriers that do not want to move to IMS at an early stage, there are other options available - namely open web-based voice; the stopgap solution of Circuit Switch Fallback (also enshrined in 3GPP standards), where the handset is forced off the LTE network onto 2G or 3G for voice calls; and variations on the theme of using circuit switch over packet techniques. There are two main approaches to this - MSC Voice, which is tied to a switch, with NSN's VoLTE the most prominent example; and VoLGA, which is architecture independent, and uses the UMA/GAN (Unlicensed Mobile Access/Generic Access Network) protocol. This Kineto originated technology was originally adopted for Wi-Fi/3G fixed-mobile convergence and as such did find its way into the 3GPP. VoLGA does not require modifications in the LTE RAN or core, or the MSC, but uses a separate gateway controller. Some of the One Voice supporters are already involved in VoLGA (though its major carrier T-Mobile has not yet joined the new group). Steve Shaw, who heads up corporate marketing for Kineto and VoLGA, believes that IMS is the way that, ultimately, voice will be handled, but it has a long way to go before it is usable, and so there will still be a role for several years for approaches like VoLGA. T-Mobile will I assume soon have to follow suit and fall in line otherwise they may have limited devices that are available and there will also be inter-operability issues. Last week I attended a presentation by IET Berkshire on Voice Services over LTE, presented by Iain Sharp from Nortel. Even though this announcement came yesterday, Iain did say that IMS is the way forward for Voice over LTE. If interested you can see the presentation here. Operators everywhere are talking up LTE as the future, but few have put a stake in the ground with specific timeframes. Even fewer have selected LTE vendors for their endeavors. Lack of spectrum, a shaky economy and the belief that existing networks still have some mileage are contributing to the not-so-solid commitments. Nonetheless, there are plenty of network trials to go around. As such, we've compiled this list of operators' LTE plans based on those companies that have made specific intentions around LTE. While South Korean operators KT Freetel and SK Telecom haven't made public specific dates regarding their commercial launch plans, they have indicated their intentions to invest in LTE by 2010. Zain in Bahrain hasn't announced a commercial launch date yet either, but has tapped Nokia Siemens Networks as its LTE vendor. Fierce Broadband Wireless has compiled list of operators' LTE plans based on those companies that have made specific intentions around LTE. While South Korean operators KT Freetel and SK Telecom haven't made public specific dates regarding their commercial launch plans, they have indicated their intentions to invest in LTE by 2010. Zain in Bahrain hasn't announced a commercial launch date yet either, but has tapped Nokia Siemens Networks as its LTE vendor. See the complete table of rollouts here. 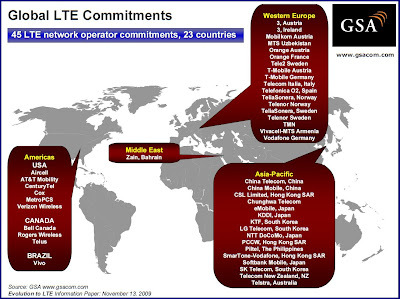 Read more: http://www.fiercebroadbandwireless.com/pages/mapping-it-out-operator-commitments-lte#ixzz0W0sBukPZAs such, we've compiled this list of operators' LTE plans based on those companies that have made specific intentions around LTE. While South Korean operators KT Freetel and SK Telecom haven't made public specific dates regarding their commercial launch plans, they have indicated their intentions to invest in LTE by 2010. Zain in Bahrain hasn't announced a commercial launch date yet either, but has tapped Nokia Siemens Networks as its LTE vendor. The WiMAX network architecture is designed to meet the requirements while maximizing the use of open standards and IETF protocols in a simple all-IP architecture. Among the design requirements are supports for fixed and mobile access deployments as well as unbundling of access, connectivity, and application services to allow access infrastructure sharing and multiple access infrastructure aggregation. The baseline WiMAX network architecture can be logically represented by a network reference model (NRM), which identifies key functional entities and reference points over which the network interoperability specifications are defined. The WiMAX NRM differentiates between network access providers (NAPs) and network service providers (NSPs). The NAP is a business entity that provides WiMAX radio access infrastructure, while the NSP is the business entity that provides IP connectivity and WiMAX services to WiMAX subscribers according to some negotiated service level agreements (SLAs) with one or more NAPs. 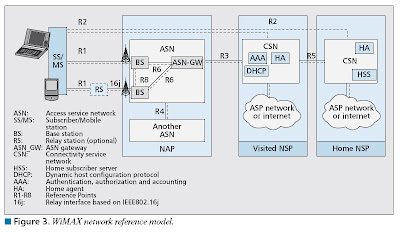 The network architecture allows one NSP to have a relationship with multiple NAPs in one or different geographical locations. It also enables NAP sharing by multiple NSPs. In some cases the NSP may be the same business entity as the NAP. • Mobile station (MS): generalized user equipment set providing wireless connectivity between a single or multiple hosts and the WiMAX network. In this context the term MS is used more generically to refer to both mobile and fixed device terminals. • Access service network (ASN): represents a complete set of network functions required to provide radio access to the MS. 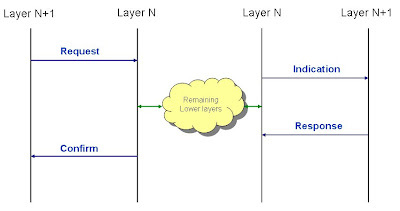 These functions include layer 2 connectivity with the MS according to IEEE 802.16 standards and WiMAX system profile, transfer of auathentication, authorization, and accounting (AAA) messages to the home NSP (HNSP), preferred NSP discovery and selection, relay functionality for establishing layer 3 (L3) connectivity with MS (i.e., IP address allocation), as well as radio resource management. To enable mobility, the ASN may also support ASN and CSN anchored mobility, paging and location management, and ASN-CSN tunneling. • Connectivity service network (CSN): a set of network functions that provide IP connectivity services to WiMAX subscriber(s). The CSN may further comprises network elements such as routers, AAA proxy/ servers, home agent, and user databases as well as interworking gateways or enhanced broadcast services and location-based services. • Base station (BS): a logical network entity that primarily consists of the radio related functions of an ASN interfacing with an MS over-the-air link according to MAC and PHY specifications in IEEE 802.16 specifications subject to applicable interpretations and parameters defined in the WiMAX Forum system profile. In this definition each BS is associated with one sector with one frequency assignment but may incorporate additional implementation-specific functions such as a DL and UL scheduler. • ASN gateway (ASN-GW): a logical entity that represents an aggregation of centralized functions related to QoS, security, and mobility management for all the data connections served by its association with BSs through R6t. The ASN-GW also hosts functions related to IP layer interactions with the CSN through R3 as well as interactions with other ASNs through R4 in support of mobility. Typically multiple BSs may be logically associated with an ASN. Also, a BS may be logically connected to more than one ASN-GW to allow load balancing and redundancy options. The WiMAX network specification defines a single decomposed ASN profile (ASN C) with an open R6 interface as well as an alternative ASN profile B that may be implemented as an integrated or a decomposed ASN in which R6 is proprietary or not exposed. The normative definitions of intra-ASN reference points (R6 and R8) are only applicable to profile C. Note that in release 1.5 profile A has been removed to reduce the number of implementation options and create a better framework for network interoperability. Mobile WiMAX technology and network evolution roadmap. The Mobile WiMAX Release 1.0 System Profile, based on 802.16e or 802.16-2005, was completed in late 2006, and the radio-level certification of products began in 2007. The certification follows a phased approach to address deployment priorities and vendor readiness. System Profile Release 1.0 includes all 802.16-2005 mandatory features, and also requires some of the optional features needed for enhanced mobility and QoS support. This system profile is based on OFDMA, and enables downlink and uplink multiple-input multipleoutput (MIMO) as well as beamforming (BF) features. The release 1.0 system profile is defined only for the TDD mode of operation, with more focus on 5 and 10 MHz bandwidths in several band classes in 2.3 GHz, 2.5 GHz ,and 3.5 GHz bands, but it also includes 8.75 MHz specifically for Korea. The WiMAX certification for the release 1.0 profile started with a Wave 1 subset, excluding MIMO and a few optimization features, to enable early market deployments. This was followed by Wave 2, which progressively adds more and more feature tests over time based on vendors and testing tool availability. The early phases of certification were also limited to MAC and PHY layer conformance and interoperability testing, which will be expanded to add networklevel testing. Meanwhile, the development of WiMAX Forum Network Release 1.0 was completed in 2007, based on which the specific network-level device conformance testing as well as infrastructure interoperability testing projects were initiated. The goal was to ensure e2e interoperability of WiMAX devices with networks and also ensure multivendor plug and play network infrastructure deployments. Release 1.0 defines the basic architecture for IP-based connectivity and services while supporting all levels of mobility. Based on operators’ requirements for advanced services and new market opportunities to be more competitive with evolved 3G systems, the WiMAX Forum initiated interim releases for both the system profile and network without major modifications to the IEE 802.16 standard. The work on network release 1.5 network specifications was started in parallel, aimed primarily at enabling dynamic QoS and provisioning of open retail device and support for advanced network services as well as commercial grade VoIP. The release 1.5 system profile work item was initiated to enable mobile WiMAX in new spectrum including frequency-division duplex (FDD) bands, address a few MAC efficiency improvements needed for technology competitiveness, and align the system profile with advanced network services supported by network release 1.5. All required fixes and minor enhancements needed to support release 1.5 are incorporated in IEEE 802.16 REV2, which combines the IEEE 802.16-2004 base standard plus IEEE 802.16e/f/g amendments and related corrigenda into one specification document. Following Release 1.5, the next major release mobile WiMAX, Release 2.0, will be based on the next generation of IEEE 802.16, which is being developed in the 16m technical group (TGm) of 802.16. WiMAX Release 2 targets major enhancements in spectrum efficiency, latency, and scalability of the access technology to wider bandwidths in challenging spectrum environments. Currently the expected timeline for the formal completion of 802.16m and WiMAX Certification of Release 2 products are early 2010 and early 2011, respectively. In parallel with developments in IEEE on the stage 2 system-level description of 802.16m, the requirements for network release 2.0 are being discussed in the WiMAX Forum, where stage 2/3 specifications are expected to be completed by 2010. Siliconindia organized Mobile Applications Conference (MAC) on October 31, where 25 mobile companies exhibited their applications and presented their business plans in NIMHANS (National Institute of Mental Health and Neuro Sciences) convention center, Bangalore, in front of around 400 people and entrepreneurs. Industry leaders within the mobile space also put some light on where the industry is headed and how entrepreneurs and developers can take advantage. TenCube, whose anchor product, WaveSecure, is the market leading mobile security suite recognized by customers and analysts, won the best mobile application award. TenCube was the unanimous choice of judges as well as the audience. It got 71 votes followed by Eterno Infotech and Divium, which got 37 and 36 votes respectively. Originally developed for police and military use in Singapore, WaveSecure has become Nokia's preferred mobile security product, chosen to be bundled into millions of premium Nokia devices. It is also the preferred security service selected by leading operators like Telenor and SingTel for their subscribers. Very interesting FAQ's for those interested. 30 years for the first commercial mobile network in Dec.
Tomi recently posted a blog on Birthdays and how the first commercial network will complete 30 years. It was first of December 1979, that the world's first commercial cellular automated (and 'modern') mobile telecoms network went live in Tokyo Japan, launched by NTT.ANd yes the mobile phone subscriber count will hit 4.6 billion by the end of the year. We passed a billion users in 2002, so it only took 23 years to hit a billion mobile phones on the planet. 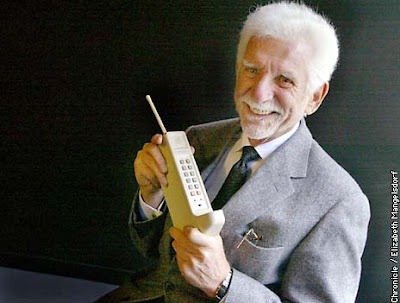 While looking for the photo of the original phone, I came across one of the earliest phones used by Martin Cooper of Motorola. He is known to have made the first public call in USA over36 years back. Wikipedia has a section on the Motorola DynaTAC in the picture above. Here is the comparison of DynaTAC with the earlier model of iPhone. And last but by no means least, the mobile internet is 10 years old. Launched by NTT DoCoMo of Japan in 1999, its iconic iMode mobile internet was the first mobile-optimized internet service and spawned countless copies and today counting all the WAP users etc, has over a billion users. That in only ten years.. Domo Arigato, NTT DoCoMo, you have invented the fastest technology to spread to a billion users.